Born and raised in Korea until the age of twelve, I was familiar with East Asian Medicine. My siblings and I often took herbal teas when we were having symptoms such as cold, headache, nose bleeding, or digestive issues. I was told by my grandparents how effective the herbal medicines can be as long as we take them correctly. Although I always believed in what my grandparents were saying, I saw the true power of East Asian Medicine after I came to Bastyr University. Prior to attending Bastyr University, I’ve had extensive research experience, both qualitative and quantitative. I have always had interest in healthcare and started doing research in the area of acupuncture and East Asian Medicine 7 years ago. I had several conversations with friends and relatives who were specialized in the acupuncture and Chinese medicine, and delved deep into research. I decided to attend Bastyr University when I became convinced that practicing acupuncture and East Asian Medicine was my calling. My mission is to help patients get the physical and mental relief so that they can have active and healthy lifestyle. As part of this, I believe that listening and focusing on patients’ experiences are important part of successful treatment. I very much look forward to working together and providing the care you need to be free of pain and feel your best. Brian graduated with his Master of Science in Acupuncture and East Asian Medicine at Bastyr University. Brian also received his undergraduate and graduate degrees from prestigious universities, Northwestern University (Evanston, IL) and Purdue University (West Lafayette, IN). 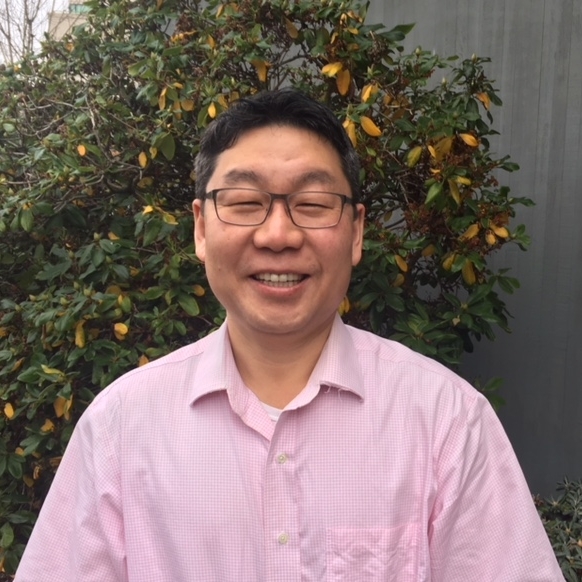 He is a 2016 graduate of the United Way of King County Project Lead Program, a nonprofit board program that strives to achieve equity and diversity in our community. Combining multiple modalities, Brian has experience in treating a wide variety of conditions. In addition to treating acute/chronic pain, Brian also specializes in helping patients suffering from digestive disorders, sleep disturbances, as well as depression and anxiety. Having moved to Seattle 6 years ago, Brian loves enjoying the outdoors that Pacific Northwest has to offer. When not seeing patients, he enjoys playing tennis, hiking, reading and spending time with his two kids who are 13 and 17 years old.